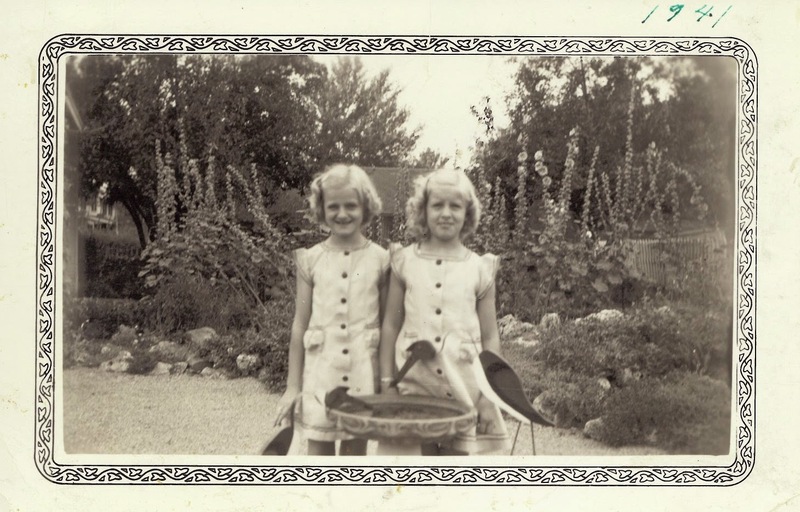 Here’s a photo of my grandmother Barbara Wolford and her sister Betty from 1941. The twins were about 10 years old when this photo was taken. This was around the time they were living with their parents in Denver, Colorado. I will need to ask my grandmother where specifically this photo was taken. Barbara Jean Wolford and Betty Jean Wolford, photograph, taken in unknown location (possibly Denver) in 1941; digital image, photocopy of original, scanned by Joseph Lowry; privately held by Rebecca Lowry, [address for private use], Poland, Ohio. Two young girls standing in front of a bird bath with trees in background. Provenance is Rebecca Lowry to Joseph Lowry.